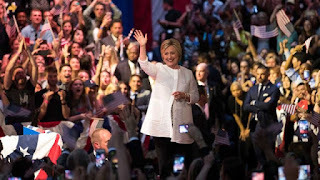 "This campaign is about making sure there are no ceilings, no limits on any of us," Clinton said during an emotional rally in Brooklyn, eight years to the day after she ended her first failed White House run. 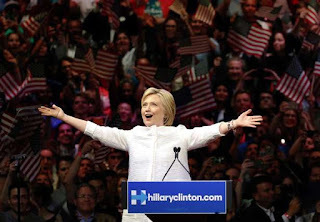 As she took the stage to raucous cheers, she paused to relish the moment, flinging her arms wide and beaming broadly. 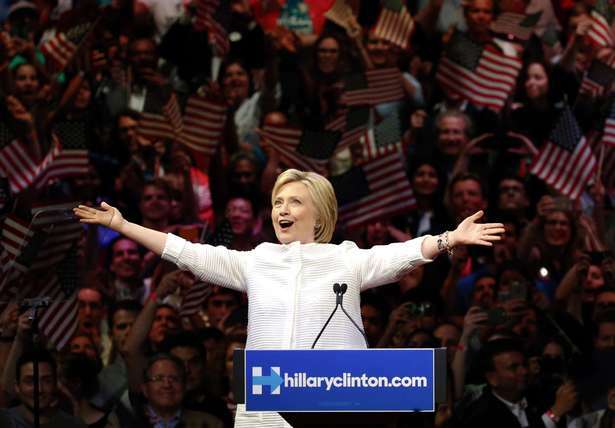 Clinton had already secured the delegates needed for the nomination, according to an Associated Press tally. She added to her totals with victories in New Jersey, New Mexico and South Dakota, three of the six states voting Tuesday. 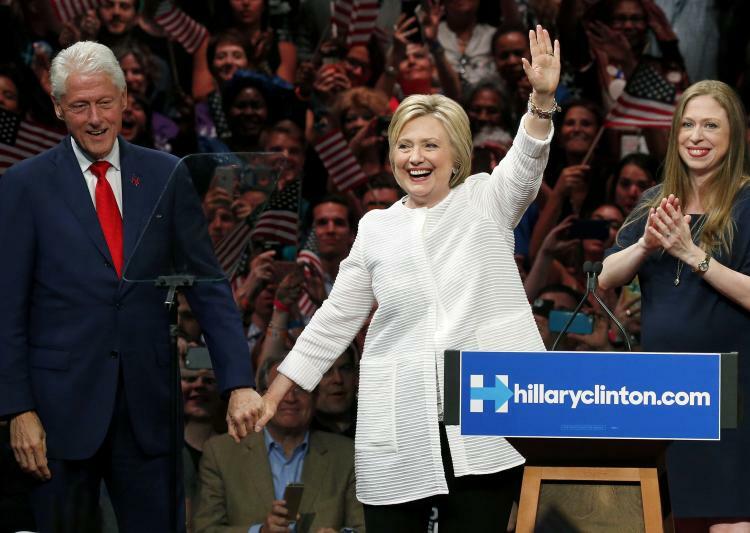 Clinton faces a two-front challenge in the coming days. She must appeal to the enthusiastic supporters of her rival Bernie Sanders — who vowed to stay in the race despite having no realistic path to the nomination — and sharpen her contrasts with presumptive Republican nominee Donald Trump. She sought to make progress on both, using her own loss in 2008 to connect with Sanders' backers.